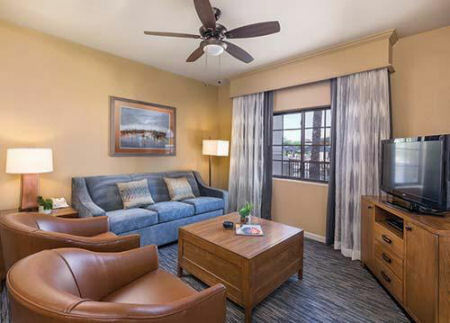 1 or 2 Bedroom Suite at SVC Legacy Golf Resort in Phoenix, Arizona! 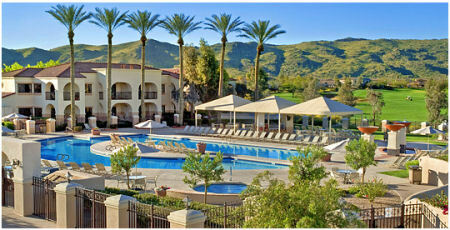 Shell Vacations Club at The Legacy Golf Resort in Phoenix, Arizona - Bid on a 7 Night Stay in a 1 or 2 Bedroom Suite! 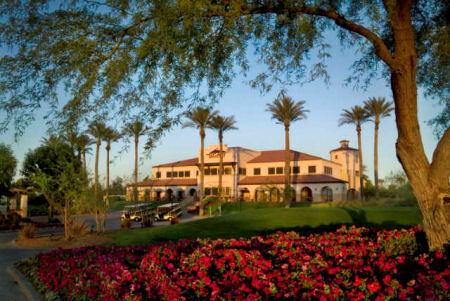 Enjoy 7 nights in a 1 or 2 Bedroom Suite at Shell Vacations Club at The Legacy Golf Resort in Phoenix, Arizona! Shell Vacations Club at The Legacy Golf Resort is situated a half-mile from South Mountain amid 280 acres of the historical Heard Ranch. The Spanish-style Phoenix resort offers 328 suites, comfortably appointed with full kitchens or kitchenettes, spacious living areas, Jacuzzi tubs in some rooms and stunning rooms. To complement its 18-hole championship golf course, the resort features country-club style dining at The Grille at the Legacy Golf Club, a heated pool with two whirpool spas, poolside cabana bar, and children's wading pool. 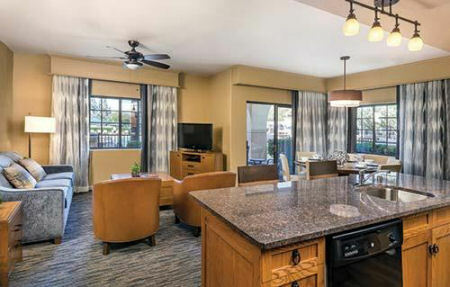 Less than 8 miles from Sky Harbor International Airport, the property's proximity to downtown Phoenix, Tempe, and Scottsdale makes it an ideal location for vacationers. Your 1 Bedroom Suite sleeps up to 4 people with a full kitchen. This 827 square foot living space includes a fully equipped kitchen with a full-size refrigerator, island with dual sink and two stools, dishwasher, and washer & dryer. A full size living area with an entertainment center and sofa bed are featured with a dining table and chairs off to the side. Your condo also has a private bedroom with a King bed and a master bathroom with a Jacuzzi. Each unit has a patio or balcony, free internet access, and individual climate control. Your 2 Bedroom Suite sleeps up to 8 people with a full kitchen. This 1,257 square foot generous living space includes two living rooms, two private balconies or patios, and two lavish baths. A fully equipped kitchen with a full-size refrigerator, dishwasher, and washer & dryer. Each unit has a patio or balcony, free internet access, and individual climate control.